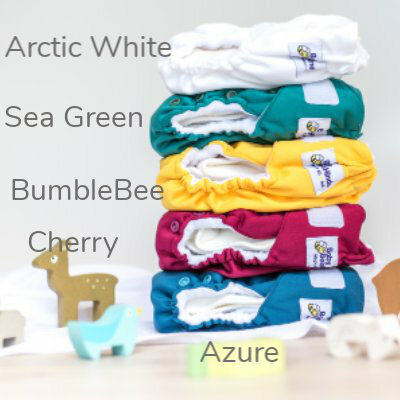 Our newest colours & limited edition prints for 2019 are here in our NEW All-In-Two (one-size) nappy style. 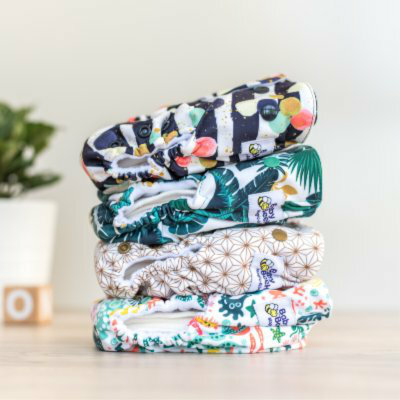 Designed for quick change time, interchangeable inserts, excellent absorbency and the perfect nappy for day care, grandparents or people starting out. This is so simple! 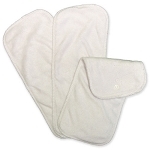 Includes two bamboo fleece inserts - one that snaps in called our Might Booster (3 layers bamboo fleece + stay dry layer) & also our regular Magicalls Booster. Quick dry fabrics so versatile all year round! Wide coverage across the bum to keep messes contained inside! Wide waist elastics for secure & reliable fitting & elastics won't cut into your little one's delicate skin! 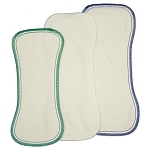 High Rise for maximum absorbency front & back!